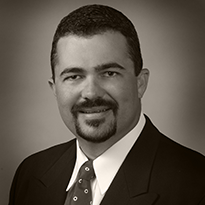 Brad Warwick joined Rich and Cartmill, Inc. as an agent in February of 2006. Prior to joining Rich & Cartmill, Brad was a Loss Control Representative with Diamond Insurance Company, Royal & SunAlliance, and EBI Companies. He became a Shareholder in the agency in 2014. Brad earned his Bachelor’s degree in Safety Management from Northeastern State University in 1996. He is a member of the Independent Insurance Agents of Oklahoma and has received the professional designation Certified Insurance Counselor (CIC). Brad is a member of the Independent Insurance Agents of Oklahoma. In the State of Oklahoma, Brad belongs to the Oklahoma Association of Health Care Providers and Leading Age of Oklahoma. Brad specializes in the providing insurance products to those in the Senior Living Care industry. He is part of the senior living team of agents and CSR’s at Rich and Cartmill that provide insurance for over 300 facilities not only in Oklahoma, but in Arkansas, Missouri, Kansas and Colorado and Texas. A native of Bartlesville, Brad has a passion for hunting, golfing and fishing, as well as watching his children compete in sports. Brad has lived in Broken Arrow for 20 years with his wife and two children. He and his family attend Life Church of South Broken Arrow.